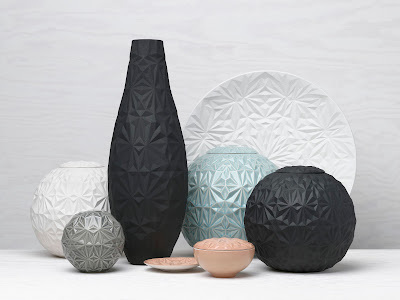 Precision geometric ceramics from AEO; Ms Anna Elzer Oscarson of Sweden. The collection is called Dusty Diamonds. 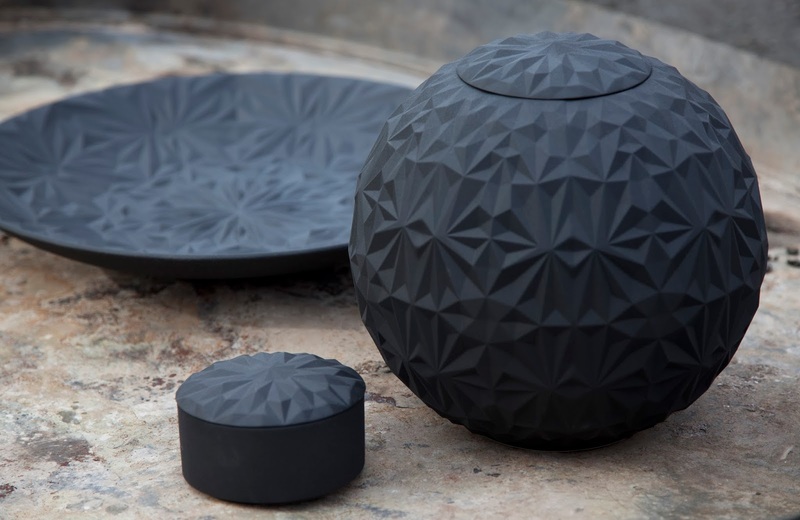 I think the matt black pieces are just heavenly. 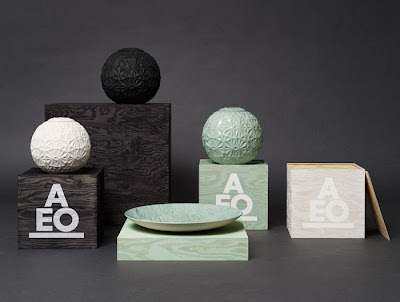 Interesting to see a bit of the behind-the-scences in the process section of AEO's site, too.